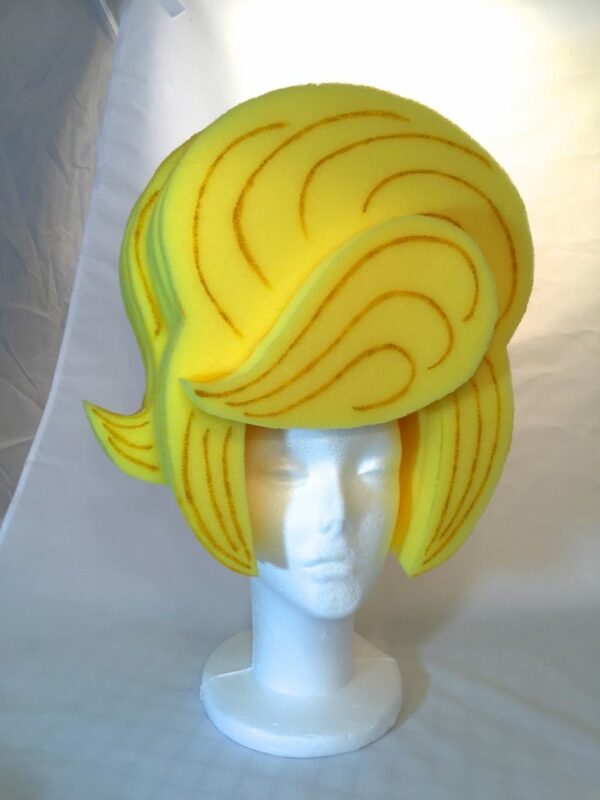 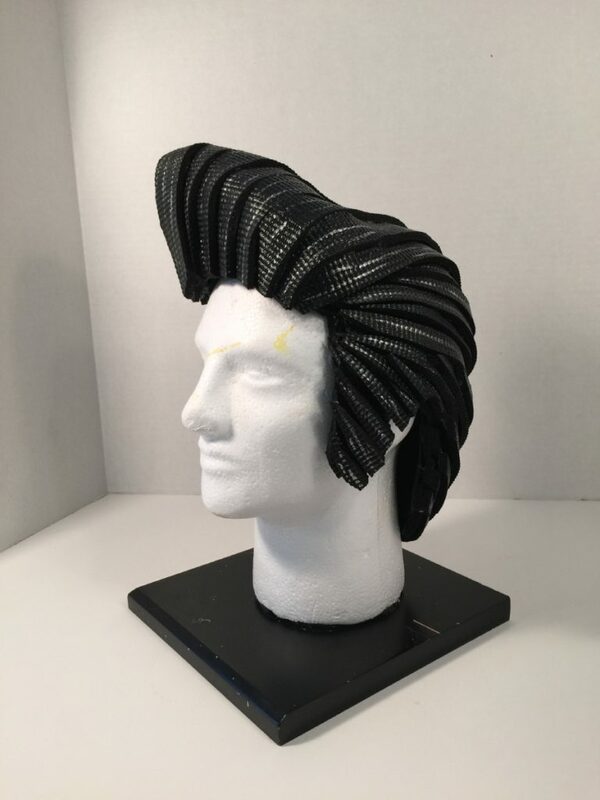 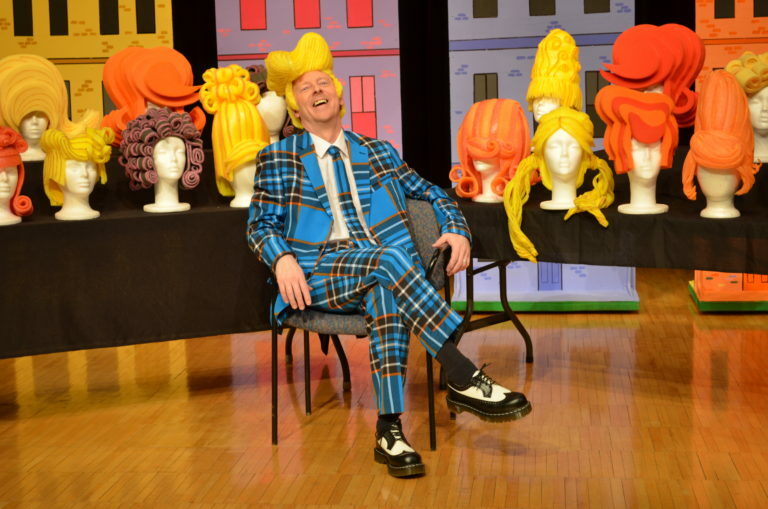 The Look of hairspray was created using big foam wigs. 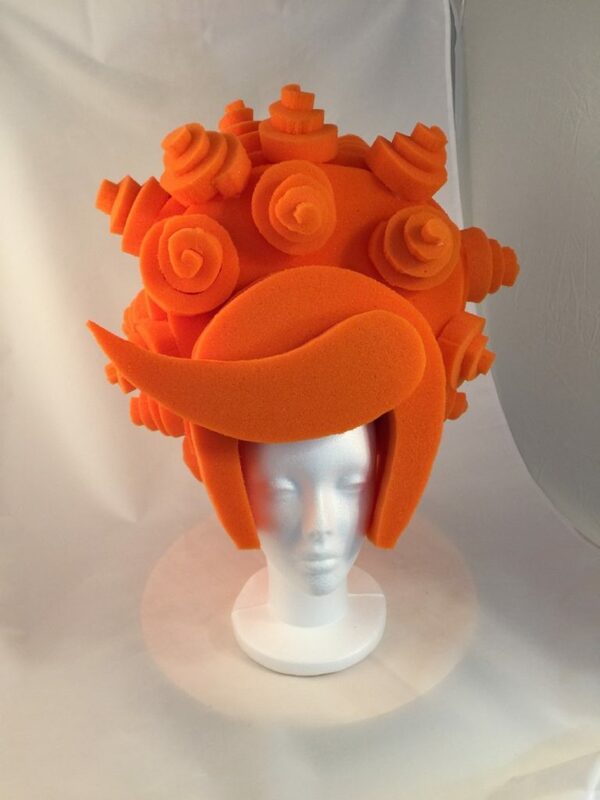 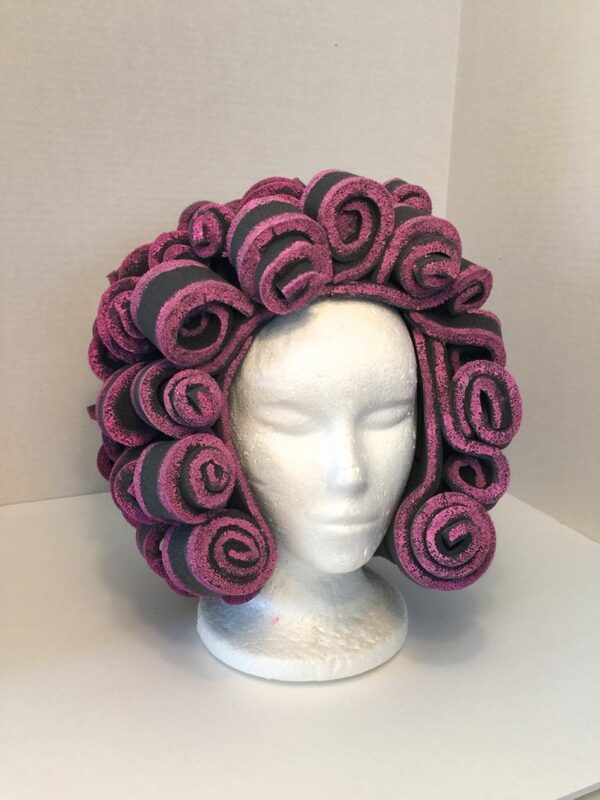 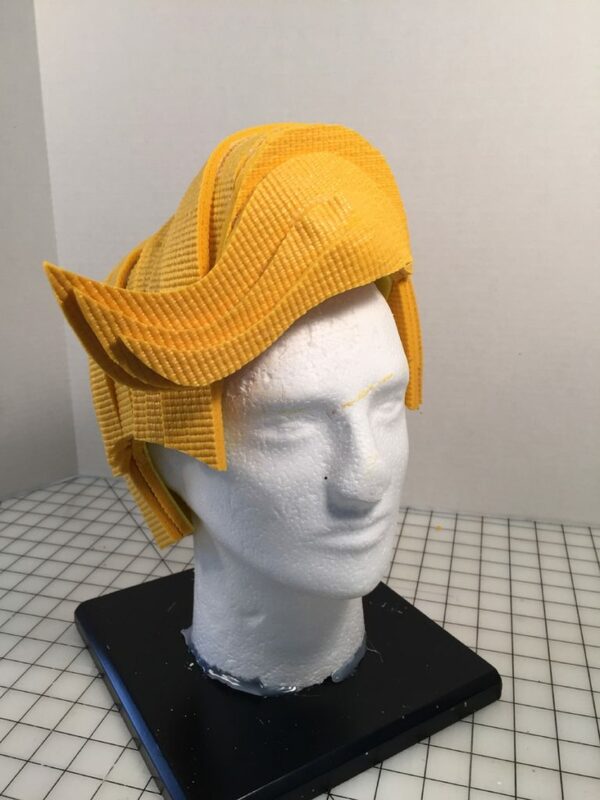 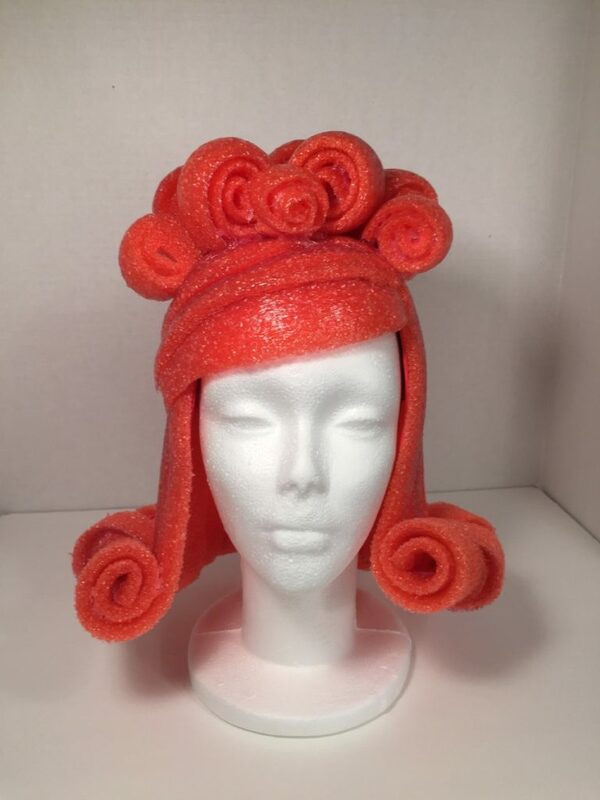 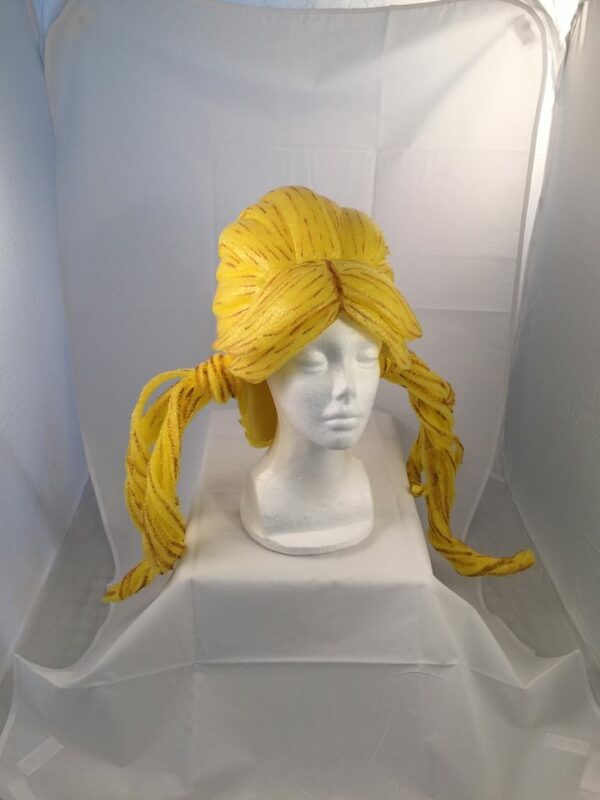 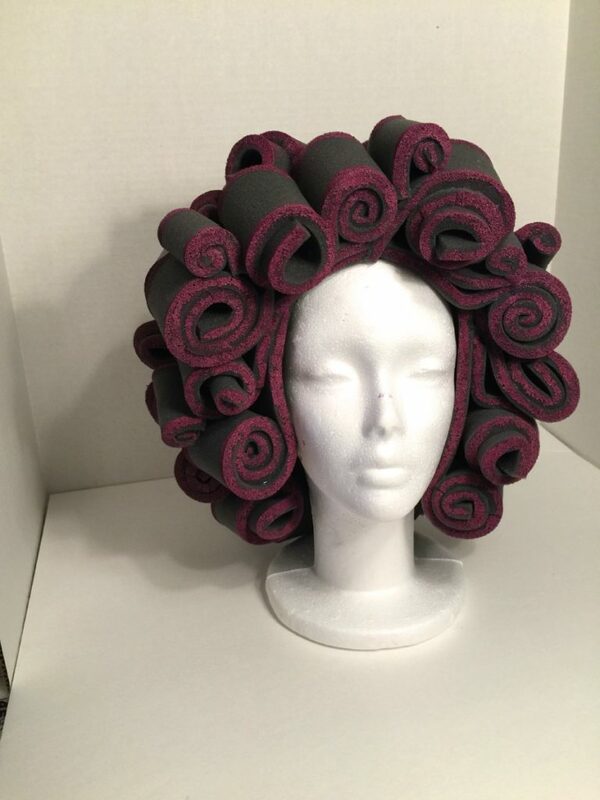 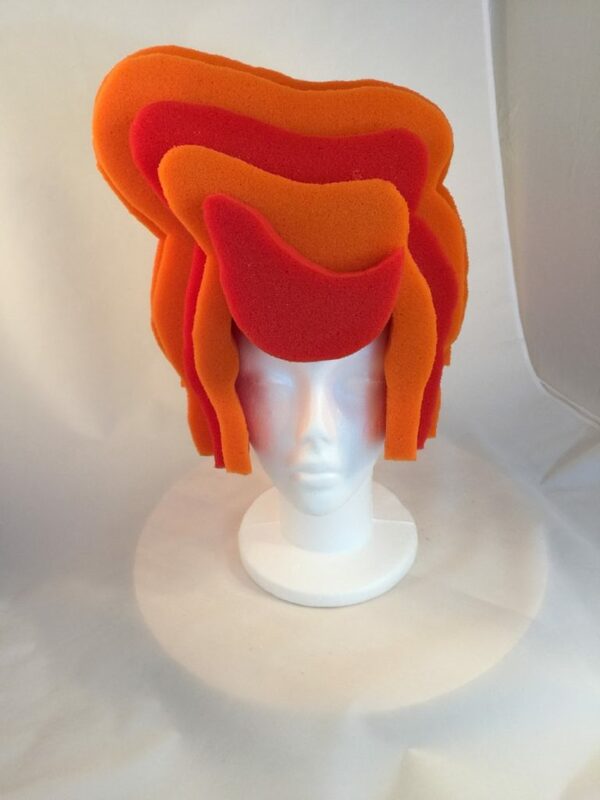 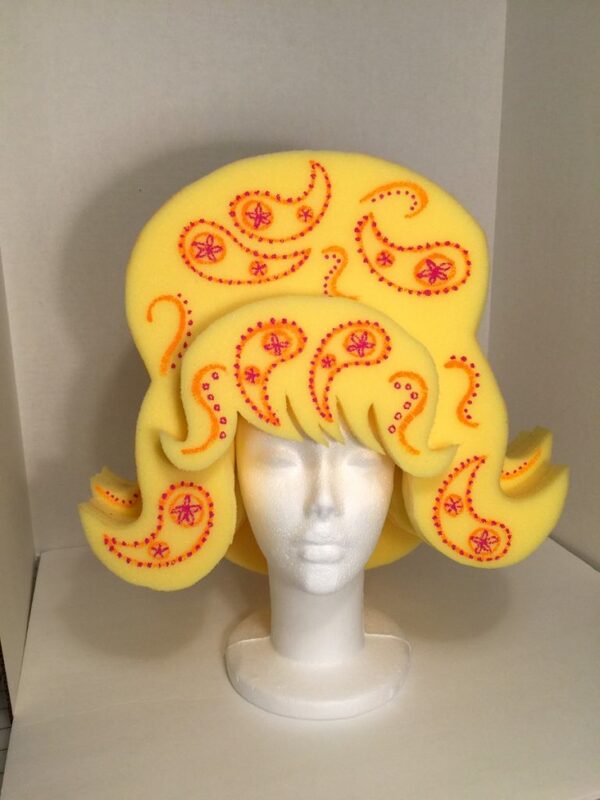 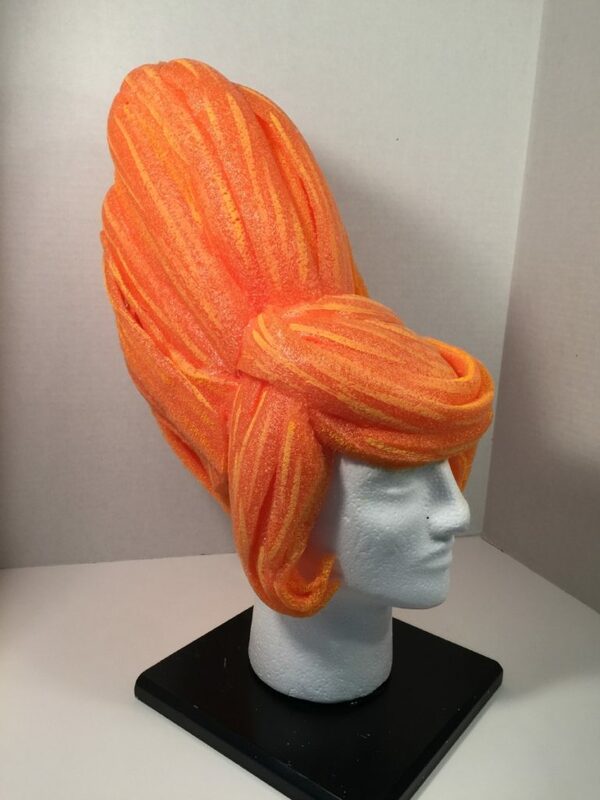 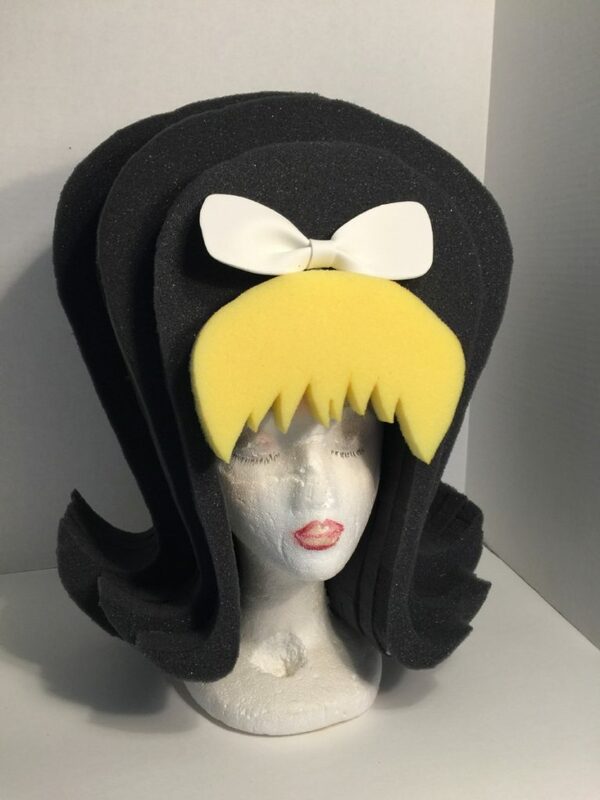 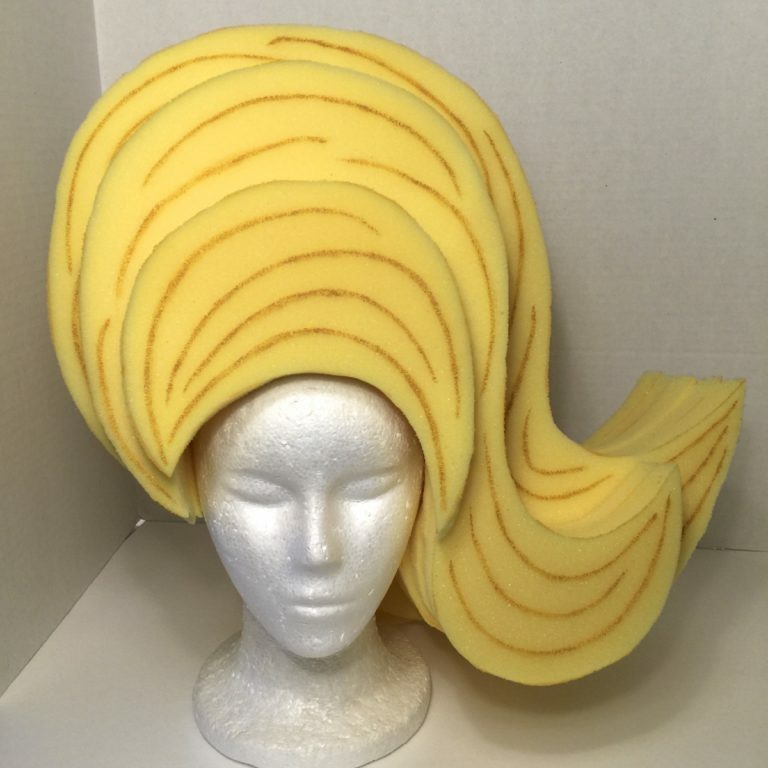 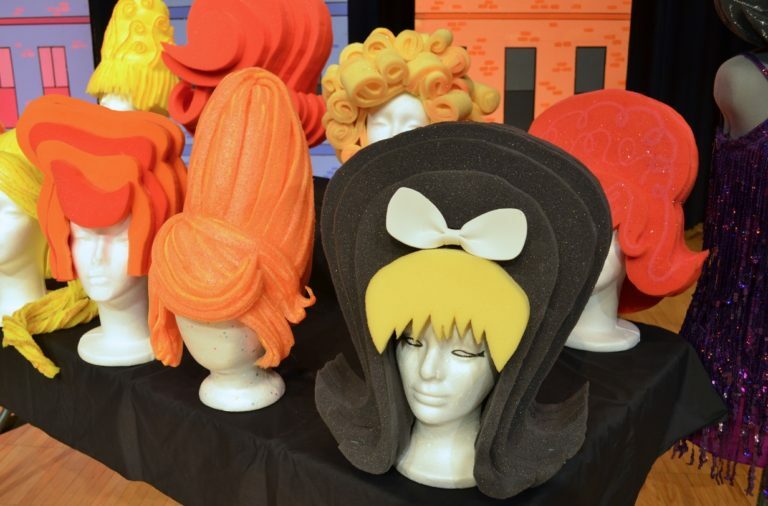 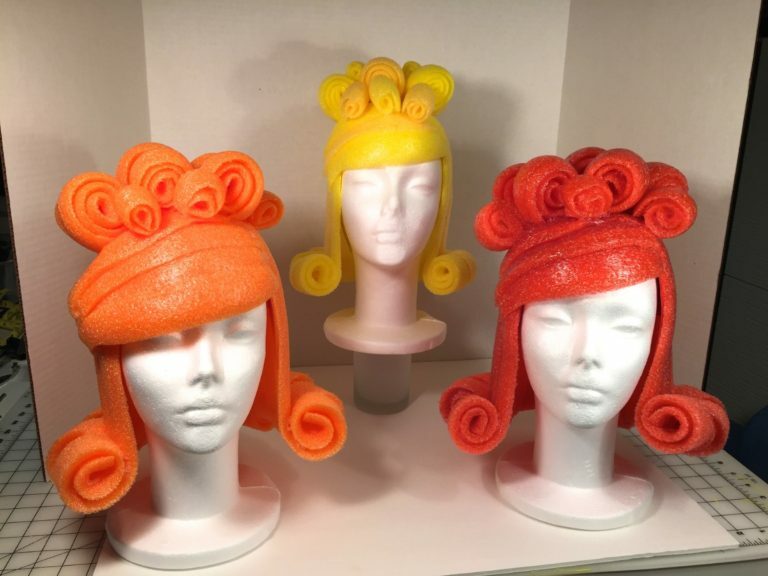 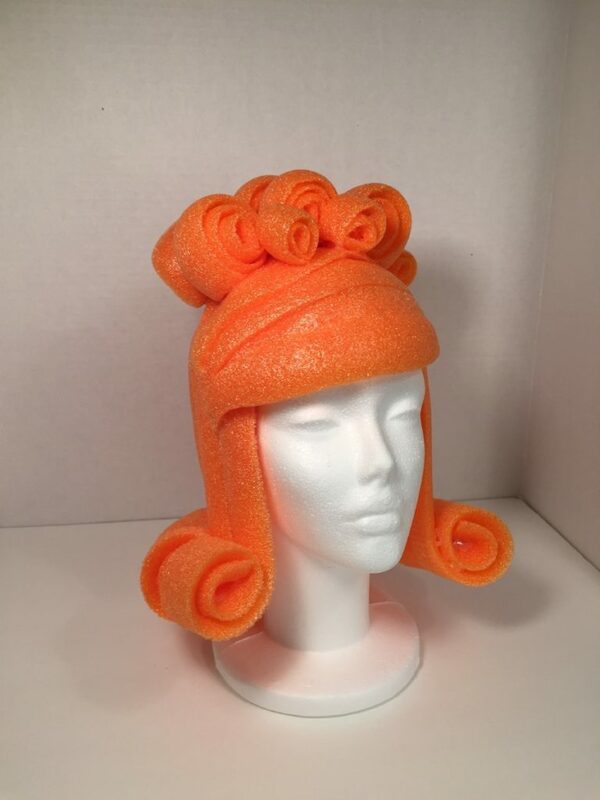 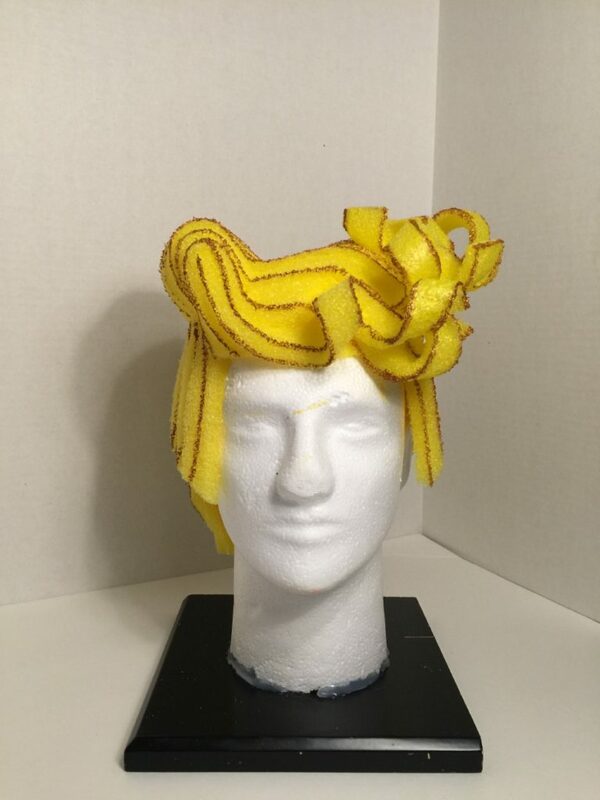 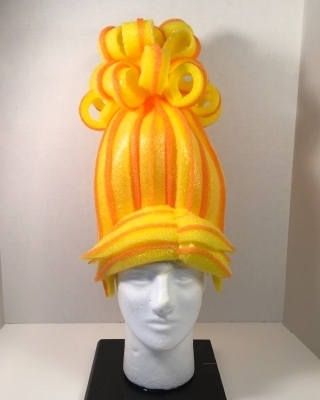 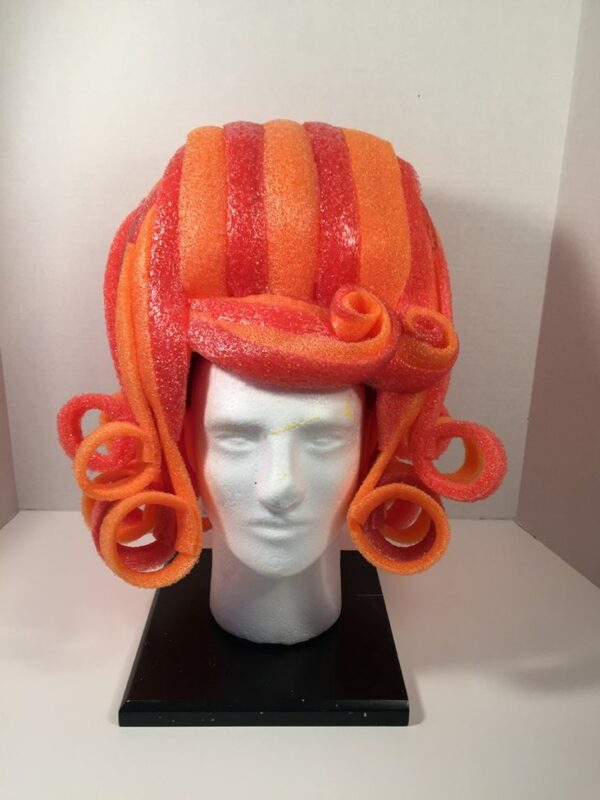 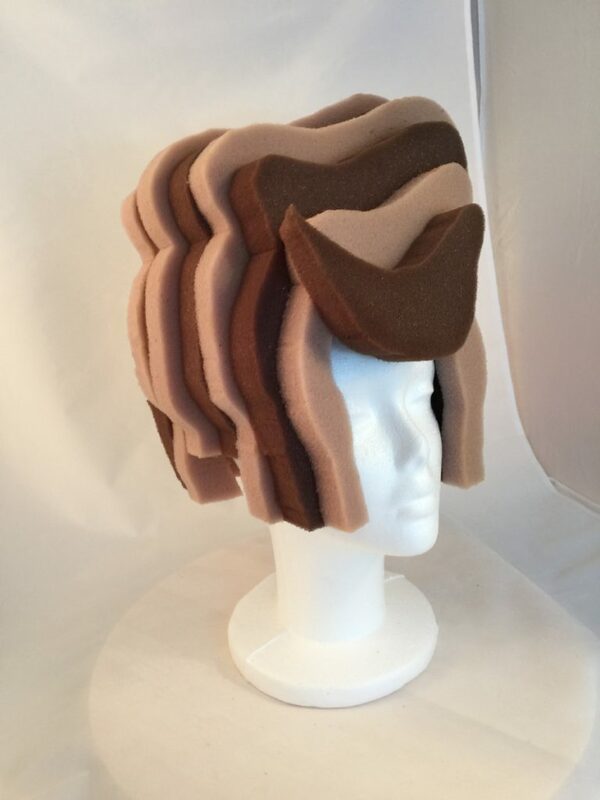 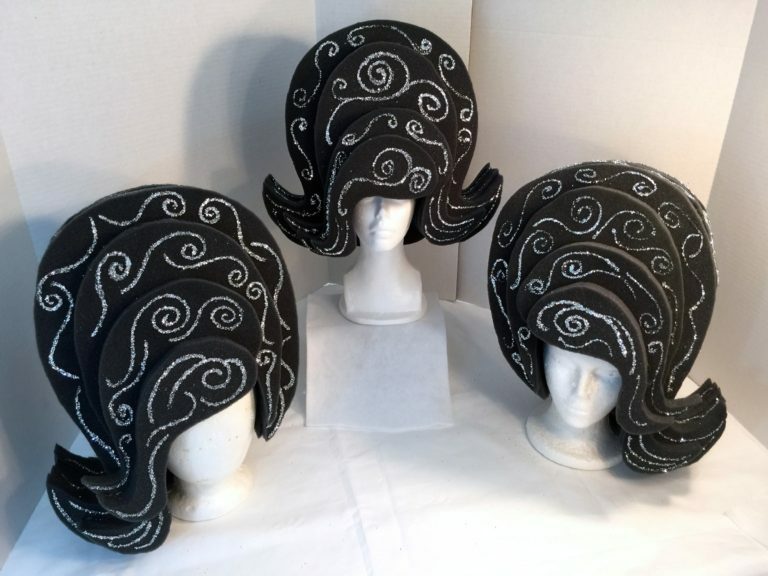 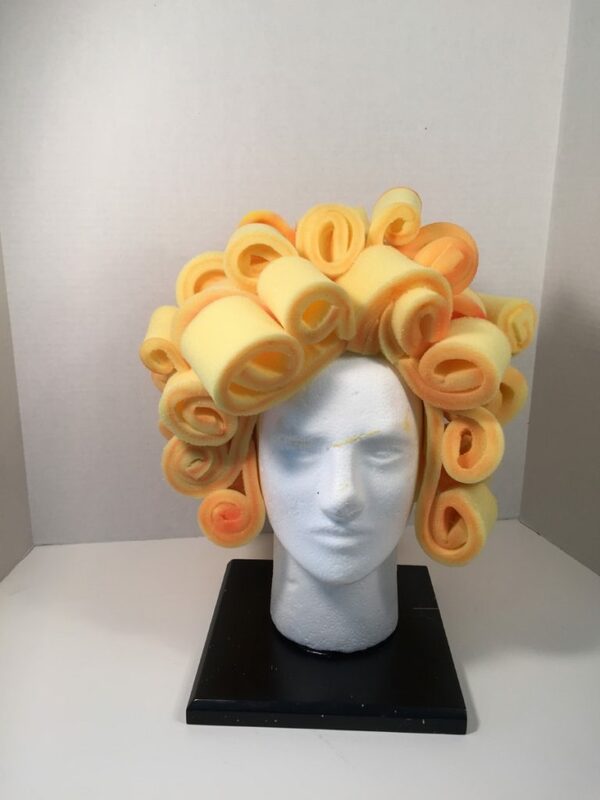 the wigs were constructed out of 3 different types of foam: acoustic foam, pool noodles, and yoga mats. 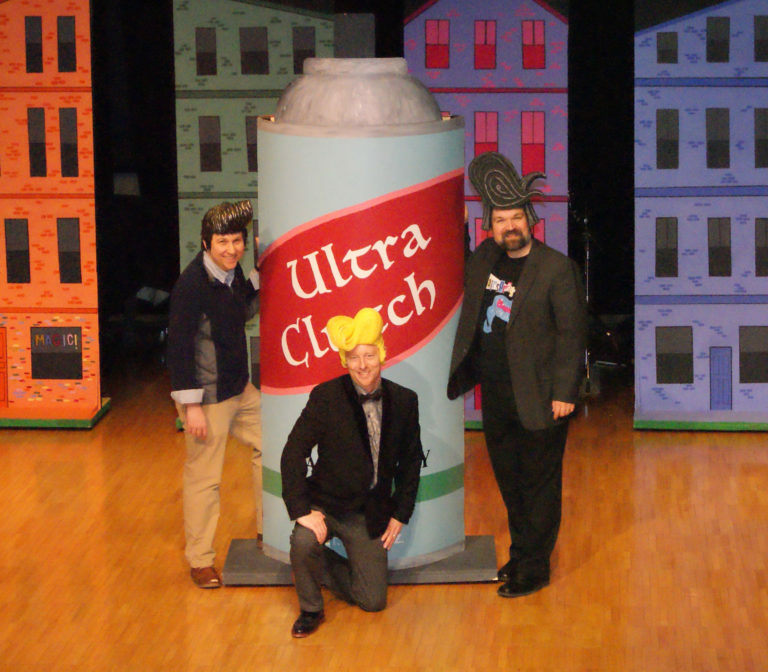 You've never seen hairspray like this before!